Andragogy or adult led learning, is a theory focused on adult instruction and education (Pappas, 2013) with concepts still relevant to the 21st-century learner. Since all of the learners who participate in my work training are adults, understanding the nature and motivations of adult learners is especially advantageous for me; the information would be useful to anyone in a position to present content to adults. Although he did not coin the term andragogy, the theory of andragogy was successfully promoted in the United States by Dr. Malcolm Knowles. Knowles’ key texts, The Modern Practice of Adult Education and The Adult Learner were first published in 1970 and 1973. These writings helped to popularize the concept of andragogy and to confirm his position within the field of adult learning (Smith, 2002). The theory is comprised of four principles to apply to adults. They include 1) involving the adult learner in the design and implementation of their learning, 2) making experience the basis for activities, 3) understanding that adults care about the immediate impact of learning to their jobs and lives, and 4) the learning should be problem-centered instead of content-centered (Pappas, 2013). The Andragogy Theory also contains five assumptions about adult learners: 1) self-concept, 2) adult learner experience, 3) readiness to learn, 4) orientation to learning, and 5) motivation. Knowles felt that the role of the instructor should not be one of “teacher” but rather that of a “facilitator” for adult learners. The successive approximation model (SAM) is a model born out of the instructional designer, Michael Allen’s, frustration with the traditional ADDIE model. He and his ID consulting team believed that ADDIE was too inflexible for rapid development. ADDIE stacks feedback at the end of its process. By the time errors are found through evaluation, the lesson has already been widely deployed. Considered an Agile model, SAM has more evaluation stages dispersed throughout its process, emphasizes collaboration, and user interface design (Tamez, 2012). 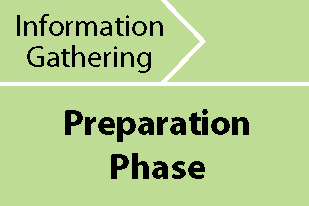 Overall, SAM has three phases, eight stages, and seven tasks (Allen, 2012) as shown in Figure 1. SAM is not a traditional lecture or instructional model, but a framework for building Instructional Design lessons and objects. Figure 1: The SAM process. Diagram provided by Allen Interactions. The Preparation Phase is important in the successive approximation model (SAM) and is organized as a group project.The following are activities associated with a Savvy Start workshop covering the topic of building a Sales Process lesson. Participants would be instructors, stake holders, SMEs and instructional designers. Click here for a Savvy Start Sample Agenda. For adult training, a survey asking attendees what they already know about the Sales Process can be deployed beforehand. This will help reactivate participants prior experiences and addresses Andragogy’s assumption about adult learner experience (Pappas, 2013). During the Information Gathering step, have the audience watch a short film about the 5 steps in the Sales Process. The audience will then be broken up into groups of five to six members whom they will be with for the entire day. An icebreaker during the Kickstart will be proposed. “Why do our learners need to know about the Sales Process? Why should you yourself know?” It is important to focus on the WIIFM (What’s In It For Me) for adult learners. This addresses two of Andragogy’s assumptions about adult learners- 1) their motivation, and 2) their learning orientation. By thinking about the WIIFM for themselves and their learners they will be in a better position to create content that addresses the issue in their course designs. As a component of the discuss Goals and Constraints stage, the group will discus how their learners’ success must be measured, what the instruction should accomplish, and possible delivery platforms. The group work will provide individual participants experience, which is a basis for learning activity and one of Andragogy’s principles. The group will then be asked how they themselves would like to be assessed on their performance during the workshop. Involvement in the planing of their own evaluation and learning is the first principle of Andragogy. Mid-morning during the workshop after the Goals and Constraints stage, participants will take a short, online survey on their laptops. This formative assessment will cover how well they think their group is doing on the design project and how comfortable the individual feels about the subject matter. In real time, the facilitator will see the results. This will help the facilitator, and attendees, determine if there are any concepts that need to be revisited before moving on to the next step in the Savvy Start. Before groups begin their lesson designs, hand out a detailed rubric covering how their designs will be evaluated. One criteria should be “demonstrates understanding of the Sales Process subject matter.” Other criteria may include engaging multimedia, delivery platform selected, appropriate assessment selection, and thoroughness of prototype. At the end of the workshop, have groups take pictures of their lesson flowcharts and upload them to a Facebook Page. Have groups grade and critique the other groups’ lesson designs as part of a summative assessment. My goals as an instructional designer are to create engaging online content and leverage technology to reach wider audiences. I also aim to incorporate play and game-based learning in my designs. Ultimately, I wish to give my learner’s value by making my lessons worth their money or time. In the past, I have been influenced by Ruth Clark and Richard Mayer’s work on eLearning (Clark & Mayer, 2011), but have no problem using other researchers’ theories or methodologies when needed. Constructivism and Behaviorism within the context of Game-Based learning theory are currently topics of exploration for me. As an eclectic instructional designer. I do not intend to align my ID creations within the constraints of any theory or model. (Honebein & Sink, 2012). I view theories as implements within my skillset toolbelt to be pulled out when needed and appropriate. In order to best reach, engage, and affect change in my adult learners, I’m willing to use whatever tools are available. My varied work background and Design Thinking mode of creation mirrors my eclectic ID philosophy. Multiple instructional methods, education theories, and influences from other unrelated fields are all welcome. Andragogy is still as relevant to adult learners today as it was 40 years ago. The motives and experiences of adults greatly influence their openness and willingness to learn, whether that is in formal continuing education or on the job. The quick turn around times for SAM make it an ideal model for modern instructors as course needs change quickly and rely on collaboration for planning and execution. Both the learning theory and model are broad enough to work with my eclectic instructional design style. Allen, M. (2012). Leaving ADDIE for SAM: An Agile Model for Developing the Best Learning Experiences. ASTD Press. Clark, Ruth C., and Richard E. Mayer. e-Learning and the Science of Instruction : Proven Guidelines for Consumers and Designers of Multimedia Learning, Wiley, 2011. Honebein, P. C., & Sink, D. L. (2012). The practice of eclectic instructional design. Performance Improvement, 51(10), 26–31. https://doi.org/10.1002/pfi.21312. Pappas, C. (2013, May 9) The Adult Learning Theory - Andragogy - of Malcolm Knowles. eLearning Industry. Retrieved from https://elearningindustry.com/the-adult-learning-theory-andragogy-of-malcolm-knowles. Tamez, R. (2016). Theoretical Frameworks of Performance-Based Models. Performance Improvement, 55(6), 19–24. https://doi.org/10.1002/pfi.21592.